This right here is the real juicy fruit! Just ask any seasoned gardener and they’ll tell you, Hales Best Cantaloupe produces the sweetest, most fragrant and juiciest melons you’ll ever have the pleasure of tasting. These award-winning cantaloupes average between three and five pounds each when fully ripened — now that’s a seriously jumbo cantaloupe melon! Inside, Hales Best Cantaloupe grows a very small seed cavity. You know what that means? There’s even more of that creamy-textured, succulent and oh-so-fruity cantaloupe goodness to eat! 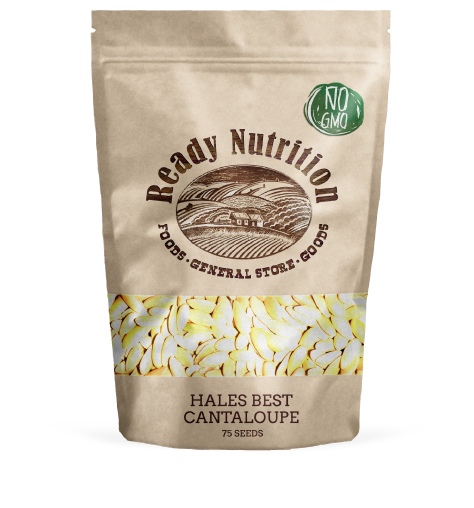 Hales Best Cantaloupe provides an excellent source of vitamins A, C, and the B‐complex vitamins.